12 Albums to show off your loved ones! 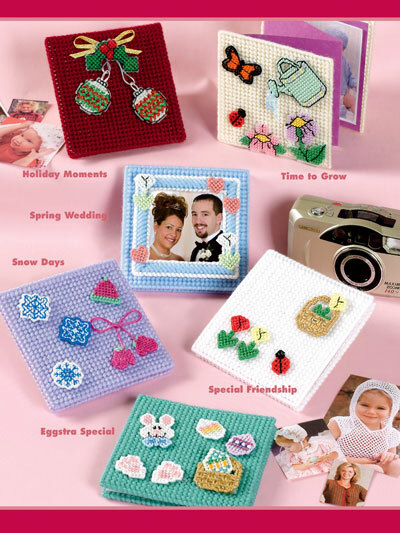 You will love mixing and matching all of our little photo book embellishments. 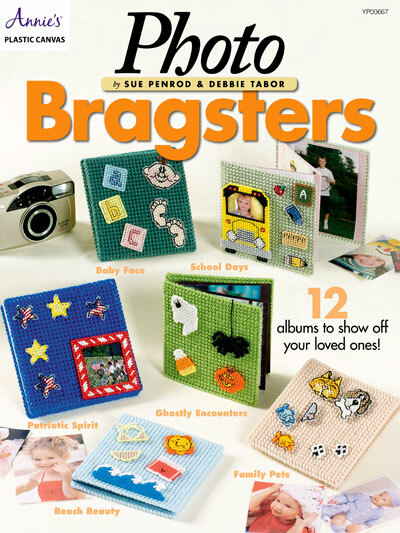 The Photo Bragster covers are stitched using 7-count plastic canvas and worsted-weight yarn. 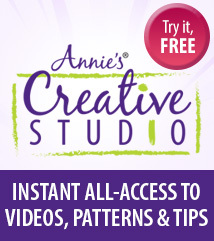 The 40 embellishments are stitched on 10-count plastic canvas using 6 strands of embroidery floss. Album themes include School Days, Spring Wedding, Beach Beauty, Baby Face and Family Pets, among others.